The road into Mesa Verde National Park was closed after the Dec. 25 snowstorm because snowplows haven’t been funded during the federal government shutdown. The Montezuma County Board of Commissioners and county staff are discussing how to reopen the road into Mesa Verde National Park, which closed because of the partial federal government shutdown. 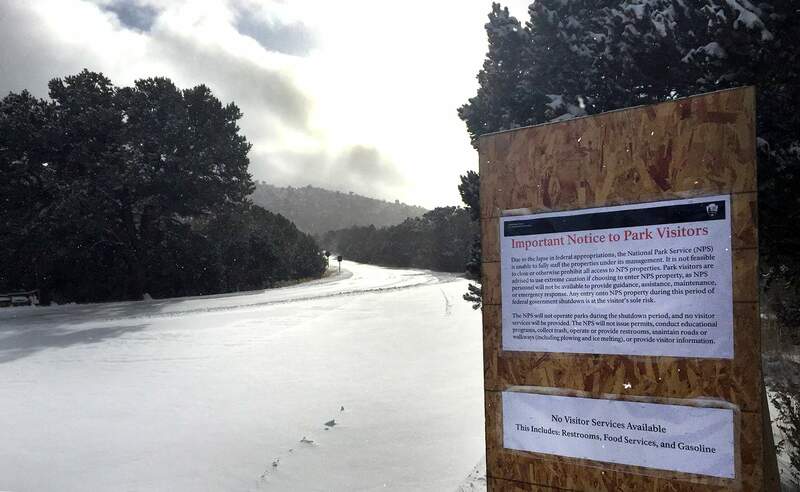 The winding, 21-mile road through the park briefly remained open after the shutdown began Dec. 21, despite the closure of park attractions and services. But it was closed after the Dec. 25 snowstorm because there were not enough resources to sufficiently plow the road for public safety. The commissioners directed county road manager Rob Englehart to seek a mutual aid agreement with the park that would allow county crews to help plow during the shutdown to keep the road open. Calls and emails to park officials on whether they would be open to such an agreement were not returned.